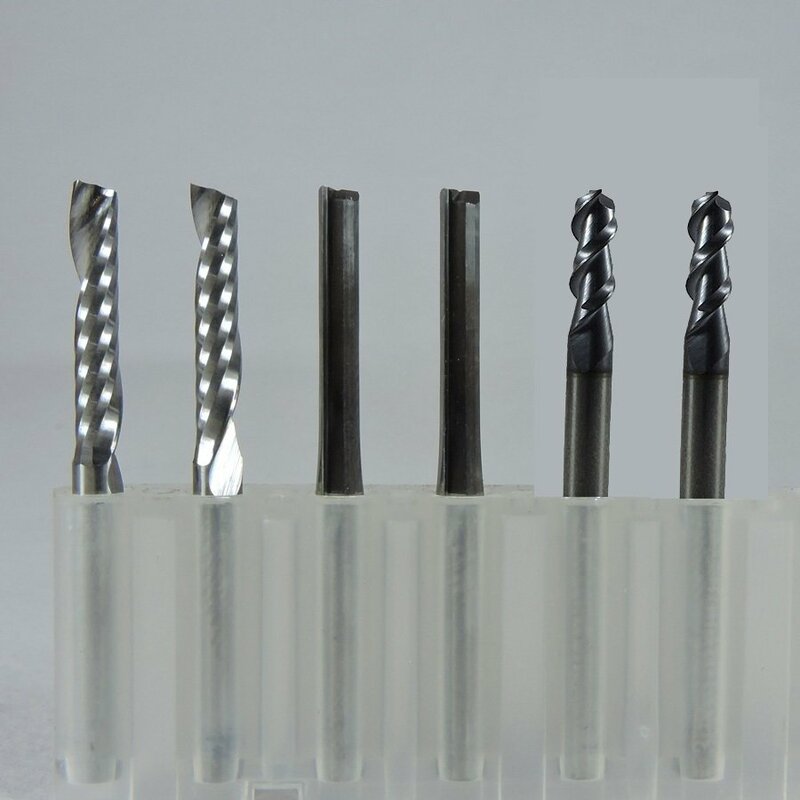 This set of 6 bits is great for general purpose wood and plastic cutting. a. 1F Spiral Up cut - 02 pcs. CED - 3.175mm, CEL - 22mm, OAL - 38mm. b. 2F Straight - 02 pcs. CED - 3.175mm, CEL - 22mm, OAL - 40mm. c. 2F Fish Tail Upcut - 02 pcs. CED - 3.175mm, CEL - 15 mm, OAL - 38 mm.